This is a question we get asked frequently. The short answer is no. But using an electric toothbrush can make your teeth appear whiter by removing stains. Electric toothbrushes cannot make your teeth overall whiter in the same way that professional bleaching will. It is not quite as simple as switching to an electric toothbrush and getting instantly whiter teeth — it depends how stained and how yellow your teeth are to begin with. The media, marketing campaigns and common misunderstandings can create unrealistic expectations when it comes to whitening. We’ve therefore created an entire section of our site dedicated to teeth whitening. We explain everything you need to know, and simplify confusing topics. Read the article below to find out how an electric toothbrush can remove stains, and be sure to leave a comment if you’ve got any questions. No toothbrush available to buy today can make your teeth any whiter than their natural colour. The only products that can make your teeth whiter than the natural shade are products that contain chemicals (bleaches/peroxides) that cosmetically enhance the natural colour of the teeth. Despite what the media might suggest, those bright white teeth that celebrities and well known faces wear are very rarely natural, and most will have had professional treatment to achieve their white smile. Whilst most teeth have a white hue to them, pure white teeth are rare and in fact many people will have naturally yellow teeth. Your natural tooth colour will be different to that of a friend or even another family member. Typically your teeth are at their whitest when you are young. Babies and young children often appear to have very white teeth. The natural colour of your teeth will change over time though, as part of the natural ageing process. The tooth colour will usually become duller. Adult teeth are naturally more yellow in appearance than baby (deciduous) teeth. The teeth in our mouth are vulnerable to staining. This means the tooth’s colour changes, just like a white t-shirt might if you were to spill tomato sauce on it. Stains on the teeth normally mean that the colour of the tooth appears darker than it was once before. Some people will say that their teeth have discoloured. This discolouration is often another way of describing that staining to the tooth. The most common cause for staining teeth is smoking or chewing tobacco products. Tea, coffee, red win and curry are other common culprits! Diet and lifestyle related staining tends to be fairly slow and gradual. Eating just 1 meal or having 1 cup of coffee will not normally result in instantaneously obvious discolouration of the tooth. For most, this staining of the tooth and dulling of the colour happens over extended periods of time. Disease and medications are two other common causes of staining to the teeth. Staining of the teeth is classified by dental professionals in two ways. You have intrinsic and extrinsic staining. This is a type of discolouration that is within the tooth, not on the surface enamel. The stain forms when stain-causing elements manage to work through the surface of the teeth and build up within the tooth enamel. Disease, medication and trauma are common causes of intrinsic staining. The most common form of tooth staining. This type of discolouration or stain affects the exterior surface of the tooth, the enamel. The food and drink we consume is the cause of this extrinsic staining. Tea, coffee and red wine are popular choices that have this staining affect as a result of the pigments within them. Smoking is also another leading cause of extrinsic staining. As you consume these products, the particles stick to the teeth, and despite what some might think, the tooth surface has millions of microscopic pits in them. Your tooth surface is not completely flat. Over time, these pigments and particles build up and turn into stains on the tooth surface. Many of us may not even be aware of the stains, it is not like they appear as a blotch on the tooth that is always visible. Because they build up gradually over time, many of us do not notice them. Over the years your teeth will quite likely will have faded from their natural colour to what they are today. Those with the heaviest staining are often those that consume a lot of food and drink with tannins in and have a poor oral healthcare routine. The more yellow your teeth look the greater the level of staining in most instances. A toothbrush, manual or electric can only ever help remove extrinsic staining. The toothbrush cannot permeate deeper than the surface level. Intrinsic staining requires cosmetic procedures available from a dentist. For most individuals, the easiest, quickest and cheapest methods to make teeth appear whiter is to brush them. By using a toothbrush, manual or electric, the majority, if not all of the external stains that build up on the teeth can be removed. Removing the stains from the teeth allows the natural colour of the tooth to be revealed. 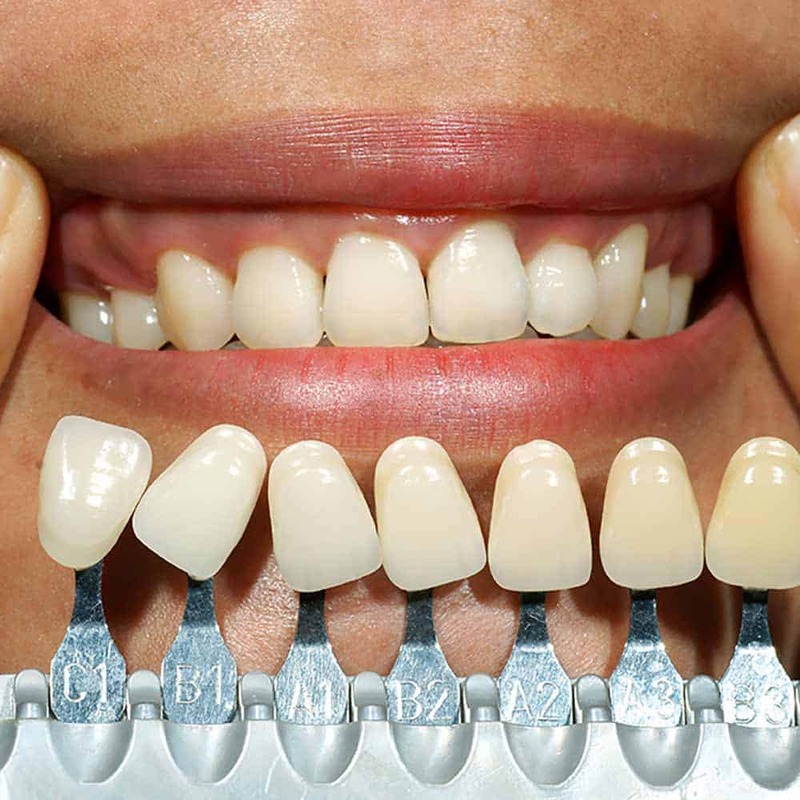 As this natural colour is normally whiter and brighter, the teeth will look whiter as the stains are removed. Technically all the toothbrush is doing is removing small particles on the teeth and making them cleaner rather than actually whitening the tooth. It is equivalent to cleaning the mud off of a white car. The car looks whiter, because the mud that dulled the white colour underneath has been removed. However, if your teeth are naturally quite yellow, removing stains from them may appear to make little or no difference — the colour of the stain may be very close to the natural yellow colour of your teeth. In this instance, a toothbrush may therefore appear to do little in the way of whitening — you will need to consider professional bleaching to make them whiter. It’s worth noting that the same applies to other over-the-counter products such as whitening kits and strips — if you’re teeth are already naturally yellow, these products will have little effect. If you do not brush twice a day for 2 minutes a time, there is a good possibility that there is scope for your teeth to be whiter. Even if you do already brush twice a day for 2 minutes, you could still achieve whiter teeth without the need for a cosmetic treatment. Whether you wish to use a manual or electric toothbrush the first step is to ensure you are brushing twice a day for the 2 minutes. By brushing regularly you are taking steps to remove those microscopic particles that are staining the teeth. You then need to ensure you are using the right technique. Yes, technique, this is almost as if not as important as brushing in the first place. Use the right technique and you can be assured of a better clean for your teeth and gums. Want to know what the right technique is? Read our guide on how to clean your teeth properly to be shown the answer. To potentially enhance the teeth whitening process an electric toothbrush can be a great option. There are many benefits to an electric toothbrush, but one of the overriding reasons is the enhanced clean that it gives. 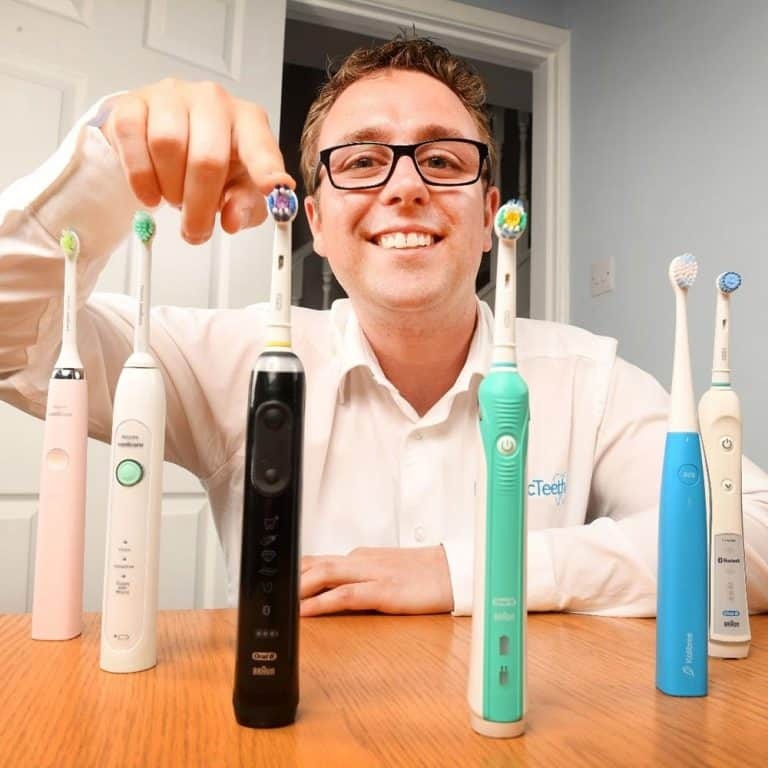 Independent research groups like Cochrane have acknowledged that the use of an electric toothbrush can improve oral health by up to 21%. The increased power and consistent motion that the brush heads deliver to the teeth means that there are more strokes and movements over the tooth surface than if using a manual brush. This increased movement gives a greater likelihood of removing those staining particles more quickly. Many electric toothbrushes offer a specific cleaning mode often named ‘white’ or ‘whitening’. The information from the brush manufacturer will likely suggest that these modes can help whiten teeth. Those same major toothbrush brands often offer specific heads for their electric toothbrushes that have white in the name claim to help whiten teeth. Oral-B’s 3D White brush head is just one such example. Be aware that neither a specific ‘whitening’ cleaning mode or ‘white’ brush head is necessary to whiten the teeth. Remember, the toothbrush is only removing the extrinsic stains on the tooth surface and is whitening the tooth by removing the stain that otherwise leaves it discoloured. A whitening mode or a whitening brush head, may, in some circumstances help speed up this stain removal, because of the way they are designed and work, but it is not essential. I have seen no evidence that can conclusively suggest these are beneficial. This is because the staining on everyone’s teeth is different. Measuring and claiming the effectiveness is almost impossible to do. If you want to make sure you are giving yourself the best chance of quick stain removal at home, then using an electric toothbrush and whitening cleaning mode and brush head may well be beneficial. However, for existing electric toothbrush owners, it is not worth upgrading your toothbrush if it does not have a whitening mode. Purchasing a ‘whitening’ brush head and using on the standard cleaning mode will possibly help. In our post on the best electric toothbrushes, a whitening mode is not one of the features we regard as a must-have. 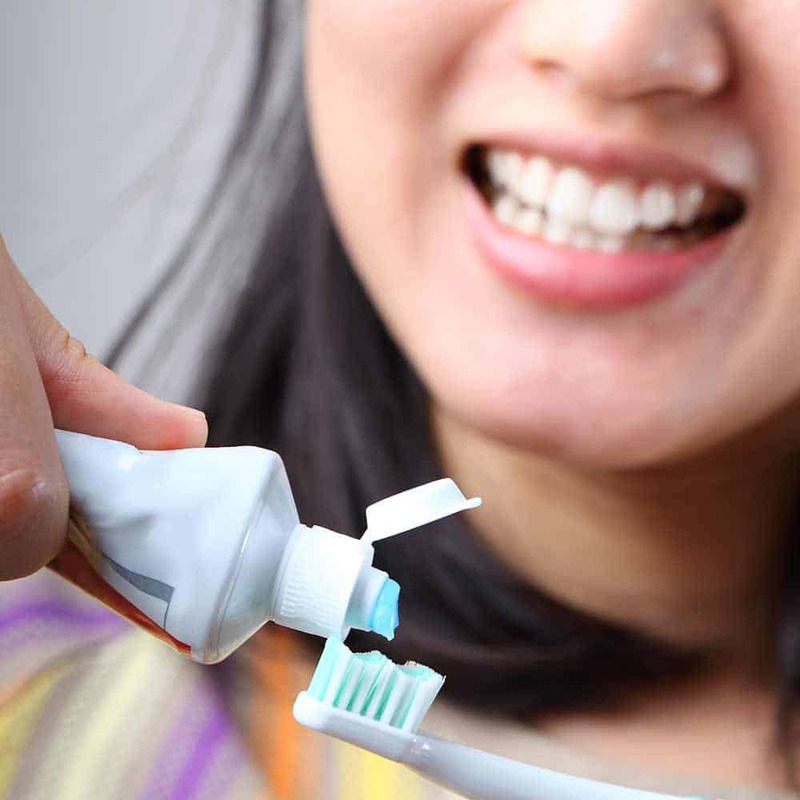 You can take the benefits of the electric toothbrush and pair it with a whitening toothpaste. A whitening toothpaste does not whiten the teeth through chemically bleaching them a different colour. Just like the toothbrush, it helps whiten the teeth by being more effective at removing the surface stains. There is no ingredient or chemical in the paste (normally) that will guarantee results. So-called whitening toothpastes are often made up of a more abrasive formula than regular toothpaste, which means when in contact with the teeth, the paste essentially rubs the tannins and bacteria away with a bit more force. For example, if you wash your face with a flannel, that’s softer on the skin than if you were to wash your face with a scrubbing brush. The whitening toothpaste is more like a scrubbing brush whereas a regular fluoride based toothpaste is like your flannel. It is safe to use whitening toothpastes, but you probably want to avoid using them for prolonged periods of time — we cover them in more detail in our best whitening toothpaste article. The abrasiveness of the pastes do vary, with some being softer on the tooth surface than others. We’ve also written an article looking at the best charcoal toothpaste, which also tends to be more abrasive than a regular toothpaste and can therefore remove stains to some extent. The resulting improvement in tooth colour will be better for some than others. Some will see a noticeable difference whilst others will not. Those least likely to see improvement are those that already have a good brushing routine. Be aware, depending on the level of staining will depend on how quickly results are seen. Some may see results in days where others may have to wait a few weeks. If you already brush your teeth twice a day, for 2 minutes each time with the correct technique, you may not see an improvement in your tooth colour, even if you opt for an electric toothbrush. This is because your regular brushing has removed all stains that exist and kept the teeth as clean as they can be. However, if your teeth are naturally yellow underneath, the toothbrush will simply return them to this colour, it won’t make them white in the same way that professional bleaching will. Regular brushing, with any toothbrush is the best approach to keeping the teeth free of stains. So, even with an electric toothbrush and a whitening toothpaste your teeth will only ever whiten teeth to their natural colour by removing bacteria, tannins and particles that stain the teeth. If you have or do try all of the above and still want whiter teeth, then you should first of all consider going to a hygienist to get a professional clean. Their experience and tools can remove stains an electric toothbrush can’t. If the results of this clean are not enough you will need to consider a cosmetic whitening treatment. Do Electric Toothbrushes Remove More Plaque?